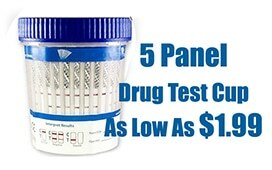 We offer superior quality and reliable 6 & 12 panel drug tests in bulk at wholesale prices. 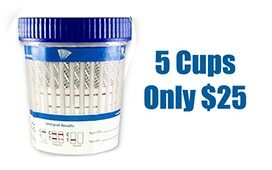 Order in bulk now and avail our wholesale drug test kits for as low as $1.69 per cup with same day shipping. We’re the nation’s most sought-after supplier of drug tests in bulk. We are a well-renowned manufacturer of 10-panel drug test cup, 11 panel drug test cup, drug testing supplies and medical supplies. 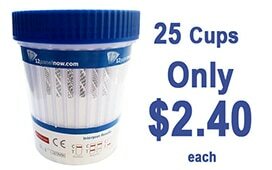 We go above and beyond to provide our customers with high-quality drug test cups at affordable prices. Our 12 panel drug cups are CLIA waived and FDA approved and offers 99% precise and reliable results. Each drug test cup comprises a sealed and drip proof lid to ensure the probity of a urine specimen. 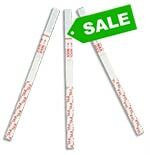 The built-in temperature strip helps to maintain the legitimacy of the donor’s urine sample. 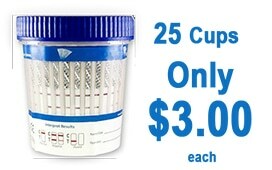 We offer astonishing prices when you buy drug tests in bulk at just $1.99 per cup. 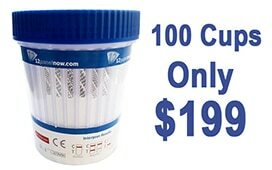 We keep over 200,000 Drug Test cups in stock at any given time so you can be rest assured that we will deliver any quantity without any delay. Our Drug Test Cup is 12 Panel and tests for Amphetamines, Barbiturates, Buprenorphine, Benzodiazepine, Cocaine, Marijuana, PCP, Methadone, MDMA/Ecstasy, Oxycodone, Methamphetamine, and Morphine/OPI. Our drug test cup offer quick results in just a minute, however, we advise you to wait for 5 minutes to interpret the results. Avoid assessing the results after 10 minutes. We flourish on customer satisfaction and our experts strive to present our clients with quality drug test cups at competitive prices. Our experts are here to assist you to ensure that your purchase goes smoothly. We deal with clients from all over the world, so whether you’re a wholesaler, distributor or bulk buyer, you will receive a compassionate and reliable service. We also offer same day shipping on the orders placed before 5 pm EST to ensure that you receive your order without any extra delay. Sign up now to avail massive discounts when you buy drug test in bulk from us!